Ever sense the spiritual graduation of the entity the world recognizes as the 'King of Pop', I've been reluctant to share my thoughts about the life and times of the greatest entertainer - Michael Jackson. I figured there would be countless writings, pontifications, and opinions; mainly about the, mostly negative, superficial aspects of his journey through this experience we call life. In other words, I was hoping to read or hear much more about the greater meaning and significance of the life of the 'gloved one'. Although his many outstanding achievements and highly publicized trials and tribulations are nothing short of legendary and at the same time pitifully sobering, I find myself wanting us to realize what I have about this often misunderstood entertaining 'alien', who's gone too soon. When I first heard the news of his passing from family and friends (because I don't watch much television) I didn't react with any measure of passion worth noting. But as I began to recall my days growing up in the 1970s, I started to feel, more deeply, the 'real' life purpose of this giant of a spiritual being. He is much greater than we have seemingly yet to allow ourselves to recognize! Beyond the fascinating ability to 'moon-walk', or the epic trend setting video productions, or the mountains of philanthropic donations he personally gave to charities; I still see far beyond the world of magic and make believe he so profoundly manifested for our collective and hyper emotional enjoyment. Though he dazzled us with his awesome 'flex' and rhythm, the prodigal son was trying to teach us all something far less shallow and deeper than setting fashion trends, for example. MJ, all along, was telling a story, in each and every song, of acceptance, joy, peace, understanding, inclusion, gratitude, respect, praise, healing, humility, introspection, and compassion, to name a few. What he wrote in the form of lyrics while sitting in Neverlands' oak tree, were cosmic universal, poetic metaphoric messages about the internal, higher true self? the 'man in the mirror.' If we seek to continue dissecting all the external, material aspects of his 'reality', we are certain to loose the message he personified; the message of the great eternal spirit? ?the message of love, agape! 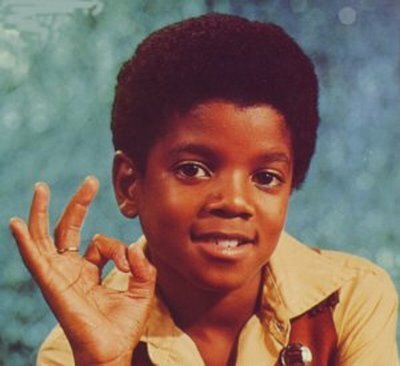 So as we look to the days ahead, for confirmations of things that ultimately matter not, I am comforted in the promise that Mr. Jackson's message will rise above the perception of scandalous gossip, and take spiritual flight in the hearts of those who know, from within, the true essence of his ultimate becoming. For those who willingly insist on beating the negative drum(s) of judgment and aim it at the one who suffered silently, but smiled anyway, I would say to you, bless you? ?and so would he! May you rest in eternal peace Mr. Michael Jackson. And thank you for loving a strange and fearful planet. One day, as sure as the sun rises in the east and sets in the west, we shall know, internally, what you were so well aware of. Until that time comes, I'll keep "living off the wall!"